4k00:11The iconic Szechenyi Chain Bridge over the Danube River in Budapest. 4k00:15BUDAPEST, HUNGARY - SEPTEMBER 05, 2017: Chain Bridge or Lion Bridge, with Royal Castle in background. 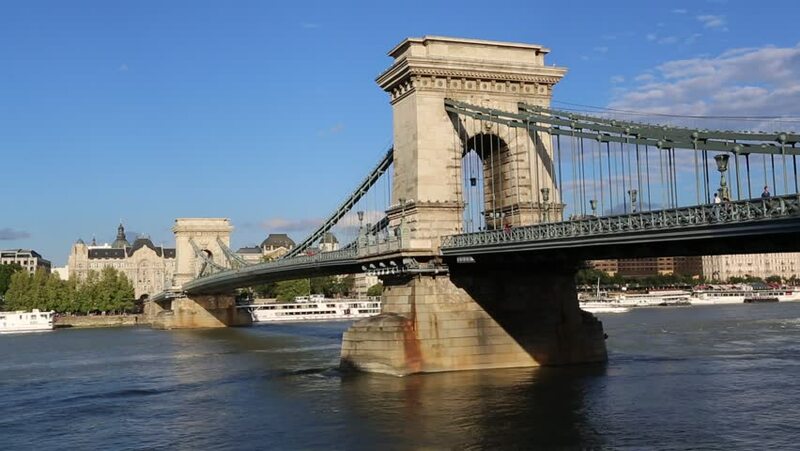 The Chain Bridge spans the River Danube between Buda and Pest.